For Between Too Soon and Too Late, Mirutziu transforms corrections to writing and comments made in Murdoch’s hand writing into large sculptural forms that represent where meaning is simultaneously gained and lost. This is juxtaposed with an existing video work Where is the poem? (2013), that refers to the dynamics and politics of writing and reading, and to the dialectical understanding of their relationship, from production to reception. Working with Graham Foust's poem Politics, the artist’s hand marks the distance created within and around the text, which Mirutziu claims is as integral as the sequence of words in terms of understanding the complexity and structure of a poem. The exhibition coincides with a new performance by Mirutziu for Block Universe Festival, co-commissioned with Delfina Foundation and European ArtEast Foundation, entitled Doing Sub Thinking. Referencing philosophical thought, national displays of power and collective agency, the work seeks to illustrate the performative forces at play in society. 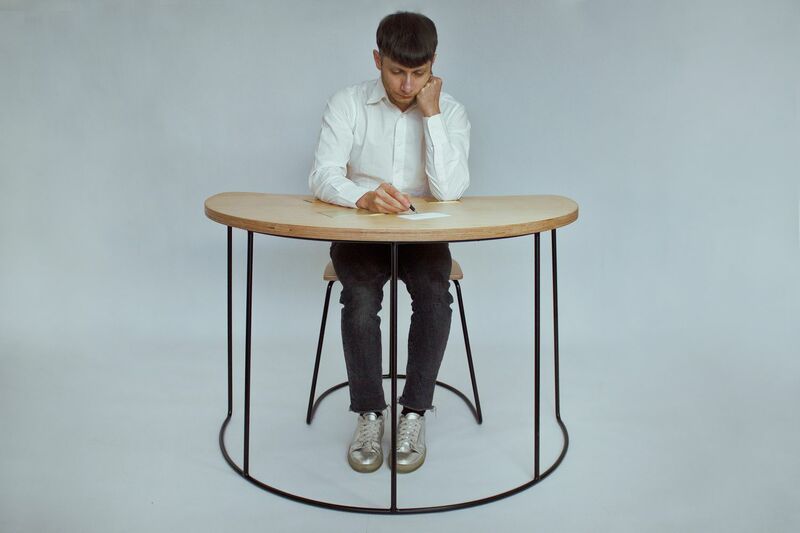 Exploring the de-personalisation of an individual within a crowd, Mirutziu will bring the audience on a journey to make manifest the intangible gaps between thought and action within group dynamics.